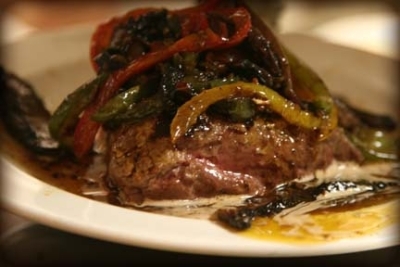 These tender filets are topped with sweet bell peppers and caramelized onions. This is a great weekend dish. Serve with a side of Parmesan risotto and you're all set. Enjoy! Mangia Italiano! Pepper steak has been around along time. It tastes great and is simple to make. We’ll just add some garlic, oregano and fresh plum tomatoes and Italianize it a little bit.